Hebe Golden Anniversary really is a remarkable variety. The intense golden leaves are distinctive and are flawlessly offset by the red shoots. In late Summer and Autumn gorgeous blue flowers are formed, which are truly enhanced by the golden leaves. 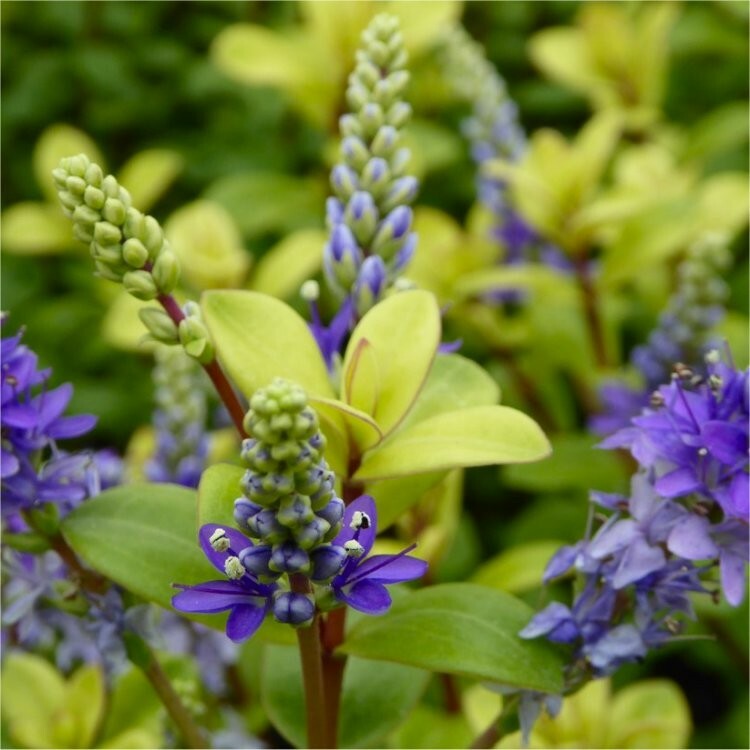 Hebe Golden Anniversary is best grown in full sun on well drained soil, either in patio planters or beds and borders. Trimmed lightly in Spring to produce a more dense appearance. Lovely bushy plants supplied in approx 2-3 litre containers.